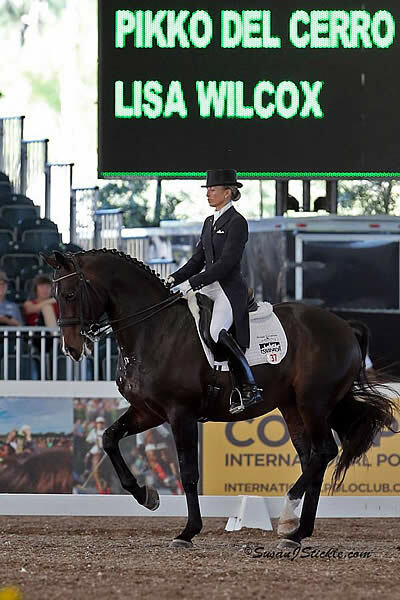 Two horses and riders qualified from the CDI3* to compete at World Dressage Masters (WDM) CDI5* Palm Beach. Mikala Gundersen and My Lady, who finished third with 69.574%, and Cheryl Meisner and Tango, who placed seventh with 64.957%, earned places at WDM based on their performances today and qualifying scores from previous competitions. My Lady, who is owned by Janne Rumbough, is a 13-year-old Danish Warmblood mare by Michellino out of a mare by Ritterstern. In March 2012, Gundersen and My Lady scored 71.175% to take second in a Grand Prix Freestyle CDI3* in West Palm Beach. They also earned a score of 70.525% earlier that month for their fifth-placed Grand Prix Freestyle performance at a CDI-W in Loxahatchee. 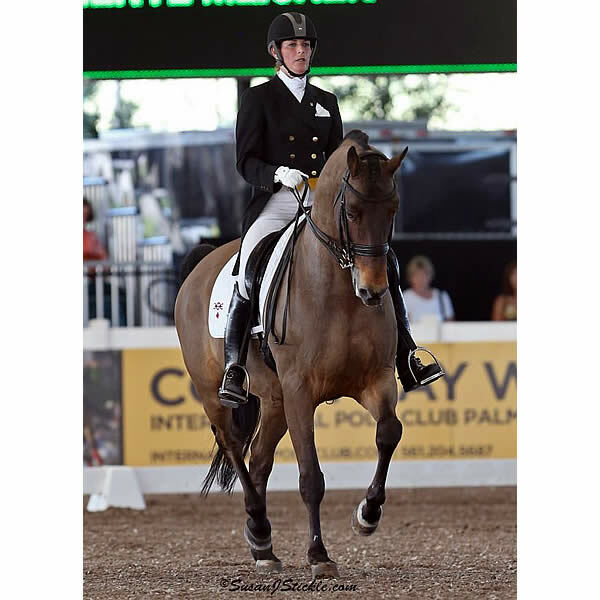 Tango, a 13-year-old KWPN gelding (Obelisk x Pollie), competed in the Grand Prix and Grand Prix Freestyle at the Gold Coast Opener CDI-W Jan 18-20. 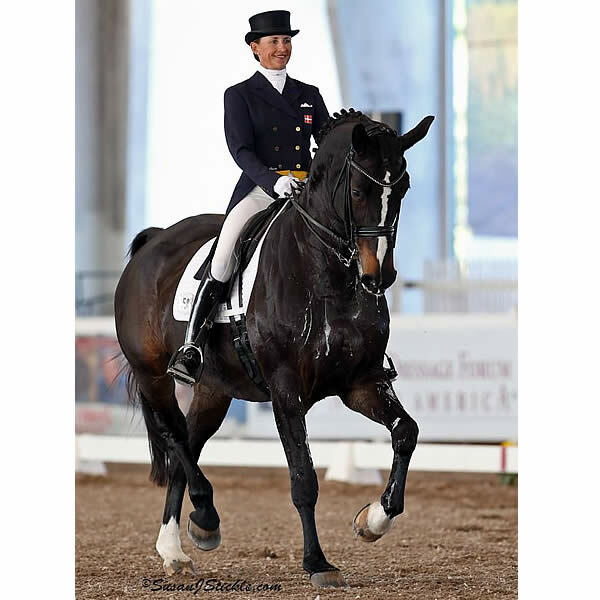 At Dressage at Devon CDI-W in 2011, Tango took third in the Grand Prix and fourth in the Grand Prix Special. After their placings today, Gundersen and Meisner join an accomplished group of riders competing at World Dressage Masters. “It was completely unexpected, and I’m really excited to be part of it!” said Meisner.